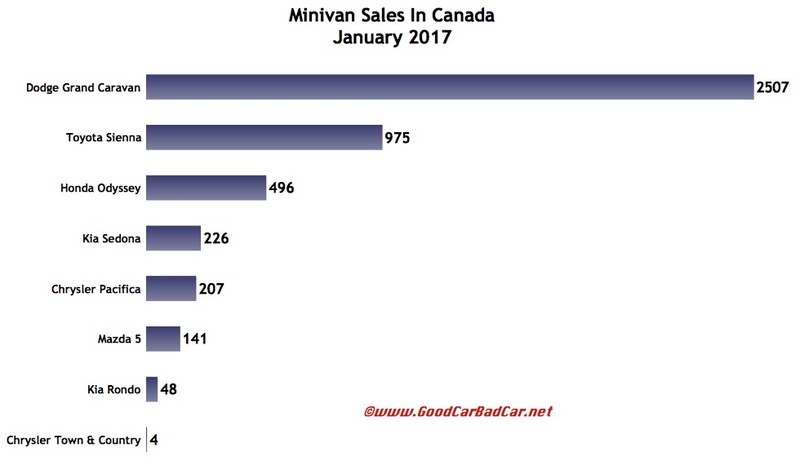 Canadian minivan sales tumbled 11% in 2016, a poor follow-up to the 1% uptick posted in calendar year 2016. But it’s not an unexpected result after minivan sales declined on a year-over-year basis in each of 2017’s final five months. The Dodge Grand Caravan slid 7%, a loss of 199 sales, as FCA’s minivan market share slid to 59% from 62% in January 2016. With the Honda Odyssey about to be replaced by an already-revealed new model, Odyssey sales plunged 14%. Mini-minivan sales improved slightly at Mazda but declined at Kia. The Toyota Sienna also posted a modest decline. And the Dodge Grand Caravan’s Chrysler siblings combined for a 62% drop to only 211 units, 207 of which were new Pacificas. You can click any model name in the tables below to find historical monthly and yearly Canadian auto sales data. You can also select a make and model at GCBC’s Sales Stats page. 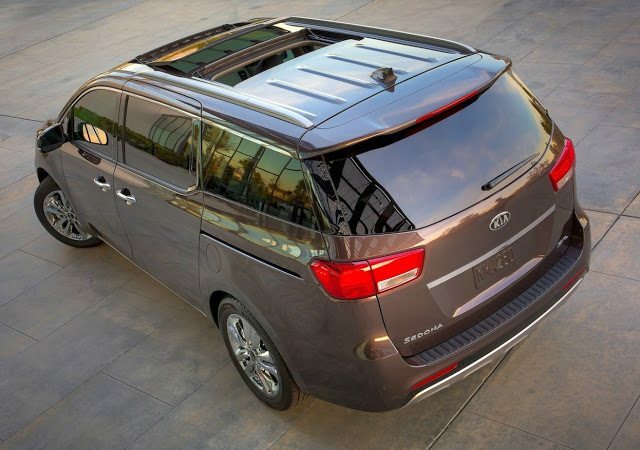 This table is sortable, so you can rank minivans any which way you like. Mobile users can now thumb across the table for full-width access. Suggestions on how GCBC should break down segments can be passed on through the Contact page.